Thank you for taking the time to visit my site. I make a range pots and other ceramics to my own designs and to commission. My workshop is based at our home, which happens to be on or near the site of a Victorian pottery in Tonbridge, Kent, UK. If you would like to see what I have in stock, or to commission a piece please get in touch. or find me at one of the events listed below under "What's On." 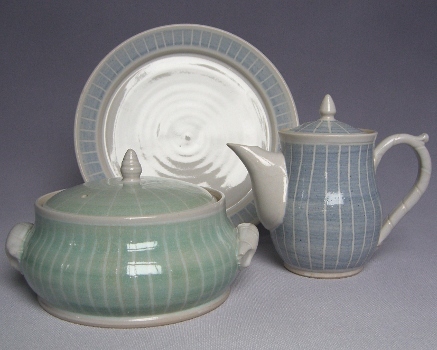 I'm a member of the Kent Potters Association and you can check out my page there.